Being a customer focused organization, we are engaged in the domain of manufacturing, exporting and wholesaling a comprehensive array of Rotary Joints. The demand of offered rotary joints is increasing among patrons as these are manufactured by making use of the quality assured raw material in-line with the industry set quality standards and norms. 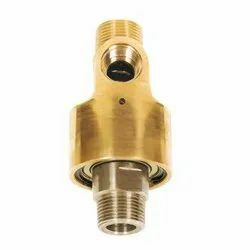 To suit the varied demands of patrons, we manufacture these rotary joints as per their given details. We are instrumental in manufacturing and exporting a comprehensive array of Rotary Joints. The Offered range of rotary joints are known for delivering high performance over the years with reliable service for coolant, air and hydraulic oil applications. Fabricated using superior-grade raw-material, this range is made in strict accordance with the industry laid norms & guidelines. Backed by a dexterous team of professionals, we are able to provide a wide range of Industrial Rotary Joints. 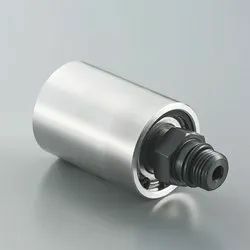 The offered product is generally used with fluid service such as water, coolant and other similar fluids to protect the fluid from being dispersed into the atmosphere. Our products are specifically fabricated using finest quality material which is sourced from reliable vendors of the market. 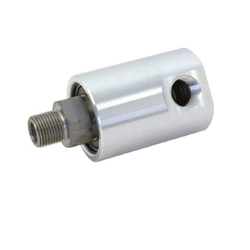 Being a customer focused organization, we are engaged in offering Metal Rotary Joints. With an aim to ensure the presence of outstanding features in the provided range of rotary joints, we manufacture these using best grade material that is purchased from the trusted vendors. Looking for Rotary Joints ?